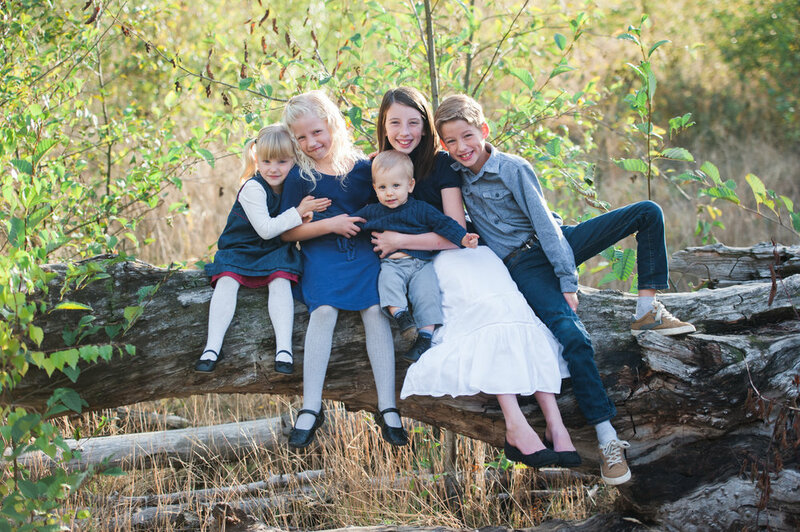 What a gift of grace that my husband and I have these five beautiful treasures on this earth with two more waiting us in heaven. God uses them to help prune us, refine us, and keep us constantly dependent on Jesus for help and guidance to nurture and instruct them. Parenting is so hard, but in the messes, we laugh and I see Jesus in them. I see Jesus in their silliness and joy, the goofy faces and hilarious comments, and the delight in dancing to lively music. I see Jesus as they all tumble down the stairs on sleeping bags in a jumbled heep. I see Jesus as they argue and fight and repent and hug again. I see Jesus as they hurriedly work hard to earn money and eagerly give it all away for gifts for one another and others. I see Jesus each day and I rejoice for the gift of life that I get to experience every single day. I get a first row seat in beholding and helping shape these five precious eternal souls to do mighty things for God. That is pretty special. Keep pressing on dear friends in this glorious pursuit of Jesus alongside our littles!